Geotechnical Drilling & Sampling - GES - Geotechnical & Environmental Services, Inc.
GES – Your One Source From Geotechnical Drilling Companies For Professional Geotechnical Drilling And Investigation. When you’re choosing from geotechnical drilling companies, choose GES. 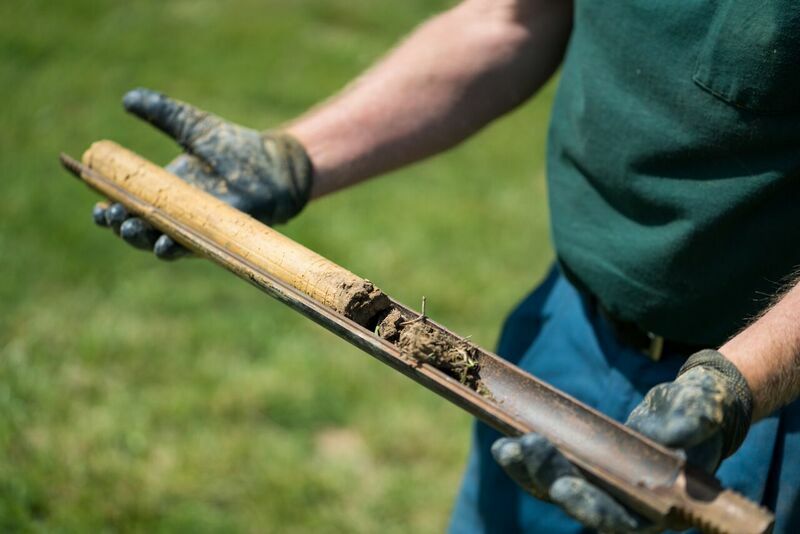 Our team of experienced scientists and drill technicians have decades of experience in understanding the soil, water, and geology of the mid-Atlantic region. From the bedrock at the foothills of the Blue Ridge and Allegheny Mountains to the limestone of the Shenandoah Valley, our team uses their knowledge of local geology and state-of-the-art equipment to assay the physical properties of soil and rock at your site. Understand Your Soil Stability with Geotechnical Drilling By GES. Geotechnical drilling is used for testing soil stability, primarily for construction projects, such as buildings, parking lots, bridges, dams and towers. Auger probes to determine depth to bedrock is also a type of geotechnical drilling. GES is your one source for all types of geotechnical drilling. Our professionals have the geologic, environmental, and mechanical knowledge and equipment to perform any of your geotechnical investigation needs, while minimizing impact to your property or ongoing business. The Proper Equipment Makes A Difference. Continuous Flight Auger – A method of sampling using an auger to collect soil cuttings from the ground. Soil is retained on the flights of the auger and collected for testing. Split-Spoon / SPT Sampler – Utilized in the “Standard Test Method for Standard Penetration Test (SPT)” and “Split-Barrel Sampling of Soils.” This sampler is typically an 18” to 30” long, 2” diameter hollow tube, split in half, lengthwise. It is driven into the ground with a 140-pound hammer, falling 30”. The blow counts required to advance the sampler a total of 18” are counted and reported. This method is generally used for non-cohesive soils. Shelby Tube Sampler – Utilized in the “Standard Practice for Thin-Walled Tube Sampling of Soils for Geotechnical Purposes.” This sampler consists of a thin-walled tube with a cutting edge at the toe. Generally used in cohesive soils, this sampler is advanced into the soil and removed, with the retained soil collected for testing. Personal Service From Locals You Can Trust. At GES, our team builds relationships with our clients based on quality services and professional project management. We are committed to providing a positive experience during your geotechnical drilling and use our knowledge of geology and mechanical backgrounds to ensure the data we provide is thorough, accurate and on time to keep your project moving. Are You Ready To Choose GES From Geotechnical Drilling Companies?